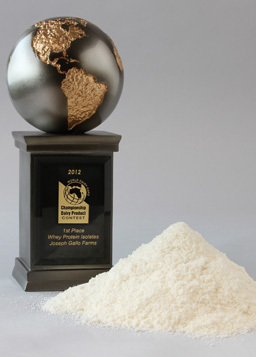 Whey Protein Isolate GN – 90: Pure and natural protein derived from the highest quality sweet dairy whey. GN -90 is a creamy white free flowing powder, spray dried at low temperatures to preserve the natural properties of this unique protein. GN -90 is over 90% protein, has a clean neutral flavor, and is virtually lactose and fat free.